The Patagonia Descensionist Women’s Jacket is made for those hard-core backcountry hikers that want a shell that offers ample breathability and is super light. It isn’t super waterproof, but you can literally feel the air moving through the jacket when you are just walking. It is a really flexible comfortable material, and you get all the necessities like a powder skirt, pit zips, and even comes with a good variety of pockets. 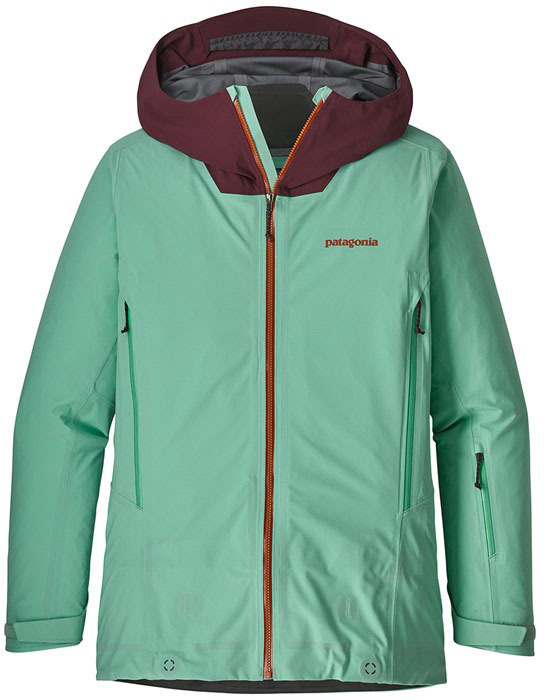 We try to get as many images of the Patagonia Descensionist Women's Jacket, but forgive us if they're not all there.